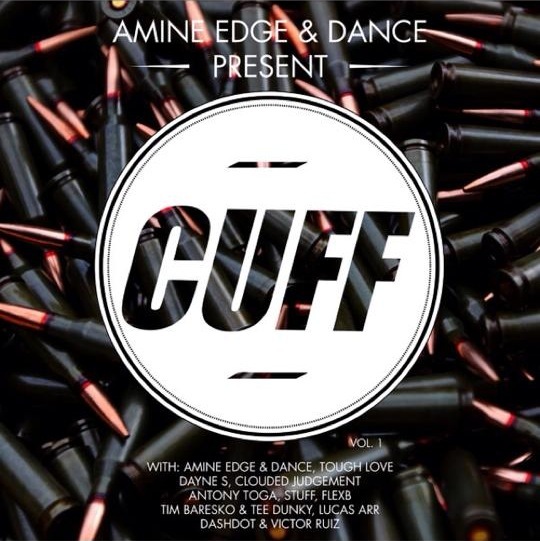 French stars Amine Edge & DANCE are about to mint their own new label CUFF with a brand new compilation, « CUFF Vol. 1 ». The label itself is ready to roll with more than 20 EPs all signed and ready for release, but first comes this bumper compilation. French boys Amine Edge & DANCE have made their name across the continent combining House and Hip-Hop to great effect. Releases on 2DIY4, Exploited and Rekids pay testament to their ability to bring vibes to any dancefloor, whilst they have worked with or remixed « Everyone » from Adana Twins to Chicken Lips.As for the compilation, it features plenty of tracks in the self-styled G House mold including those from Dayne S, Dashdot, Clouded Judgement, Tough Love, and many more, all of whom will appear on the label in their own right once it gets going. Also featured is the « Halfway Crooks » track from the Amine Edge & DANCE boys themselves. As well as being a label, CUFF will host parties around the world including in London, Manchester, Munich and Ibiza in summer 2014. There is also a monthly CUFF residency in Paris that features the label founders themselves with key guests from the imprint. As such, it’s an exciting time for one of the most successful acts of 2013, and 2014 is sure to prove ever bigger and better.